Last edited by Ebilkittyprincess28; 01-03-2012 at 08:08 AM. To be honest with you, that whole segment with Rainbow Dash made me cringe, loved the rest of the episode except for that one part. Mail pony is best pony. 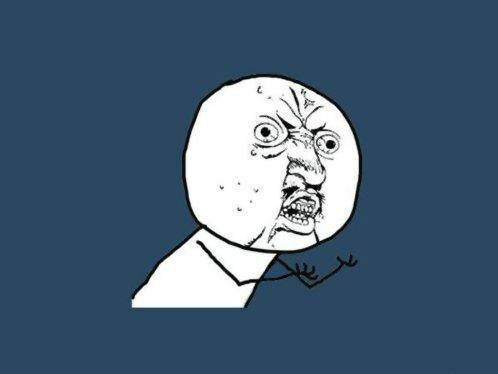 Y U NO LOVE DERPY?! I liked her better when she was in the background. Well, to each his own I suppose. At first I was weirded out by Derpy talking and didn't like it that much. I've seen other forum posts by MLP fans in other places and sometimes their family members are mean to them when it comes to them liking the show. My family doesn't care about whether or not I like the show (but my dad does think I'm weird for displaying the toys on my windowsill and customizing them so that they're more show-accurate, lol) but even then it'd still be cool if someone from my family could watch the show with me. Anyone excited to watch the Season 2 Finale on April 21st? I know that I am and I'm just a comment on this forum. Shame that I can't watch it on TV since I don't live in the US but thanks to the magic of YouTube, I can watch it with no ads. Time zones are a pain. Screw time zones, I have the internet! The messed up image on the first page is really scary. It is as messed up as Kaiba is an egomaniac. I'll just end this post before I go on too long. I love that song so much. I have just written a YGO:TAS/MLP:FiM Crossover! Sure my idea wasn't original, but it is! Give praise/commentary/hate/death threats/"hugs"/bags of flaming poop to me and Otaku1995exe for our works of art. Hey! Pegasis in de house. Rainbow is the best pony. The ponies shall be the first to scream when the end of the world draws near... Their bonds of comradeship draw them close and give them strength unknown to other mortals, but those bonds shall falter and grow weak when the time has come. And then, all shall be lost as the pegasi plummet, the unicorns wail, the dragons perish, and the ponies are no more.